History: Recruited directly after completing his Ph. D. in Civil Engineering. His progress was flagged for possible candidacy for the Foundation's Esoteric Containment program when his transcript included four degrees in six years, including Biology, Anthropology, and Environmental Sciences, each degree obtained while pursuing the next level of his Engineering degree. 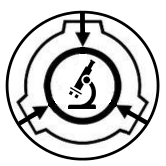 He has spent the last five years with the Foundation, the first four focusing completely on the study of containment and identifying the effects of an SCP, especially those which consist of a location rather than a relocatable SCP object. The last year has been field work, the most notable example being his recent consultation on the re-establishment of Armed Containment Site-03 around the entry point to SCP-296. Note: Doctor Piedmont is to be observed for any long-lasting psychological or physiological anomalies. His experiences during EE-314r suggests a high likelihood of a range of traumatic or extranormal after-effects, but- as he has exhibited no signs of such abnormalities since his return- he has been cleared to return to active duty for the time being. Unfortunately, there’s no way to make this pick up a collaboration or an article that you’ve adopted, so you’ll have to enter them manually. Put an asterisk (*) at the beginning of each one to keep the default, bulleted format that the modules possess.